Very interesting, bearing in mind that magnetism is caused by moving electric charges. The corona has frequencies. New research undertaken at Northumbria University, Newcastle shows that the sun’s magnetic waves behave differently than currently believed, reports Phys.org. A double layer is a structure in a plasma consisting of two parallel layers of opposite electrical charge. 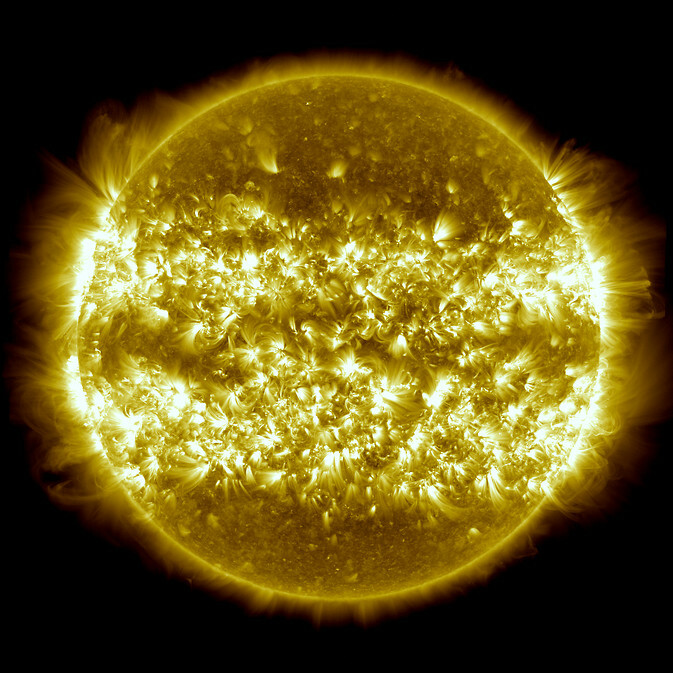 The convection zone of the sun, the region beneath the photosphere in which energy is transported primarily by convection, is sensitive to the motion of the core due to the rotation of the sun. Together with varying pressure gradients beneath the surface, electromagnetic fluctuations produced in the convection zone induce random motion on the photospheric surface and produce Alfvén waves. our current ideas about how magnetic energy is transferred and used in stellar atmospheres – pun probably not intended. Isn’t Northumbria University maths dept where Zharkova works? Nice to see actual Science being carried out to improve our understanding. Rather than the usual pushing the current dogma.